There have been occasional clear nights when I was inspired to do some serious visual observing, however, whatever chance I had of getting a decent night of observing it was going to be hindered by the brightness of the full moon. 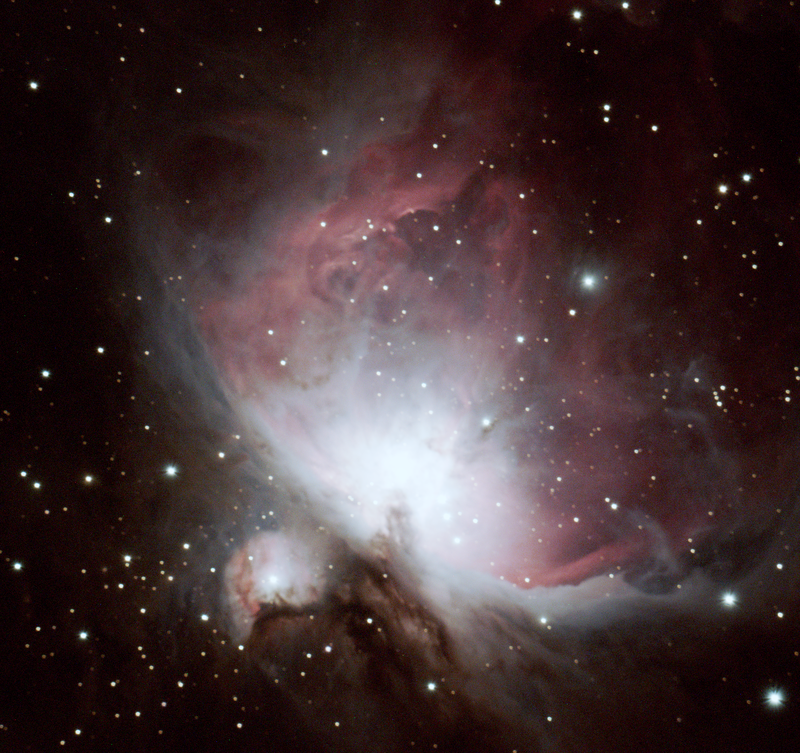 Back a few years ago, on one particular crystal clear night during a full moon, I dragged out my Edmund Scientific Astroscan 4.25" reflecting telescope and determined exactly what I could observe. As I looked up and pondered at what I could view on such a bright night, a thought suddenly struck me. I realized I have never taken the time to seriously observe double and multiple star systems. Being that deep-sky observing was not an option, I figured why not take a shot at splitting some of the well known double and multiple stars? A small telescope-like my 4.5" reflector can resolve many double and multiple star systems. These star systems are interesting to observe because they offer different orientations from one another; star colors, various magnitudes as well as separations between component stars. Artist's Rendition of Double Star System Albireo in Cygnus. Due to the almost endless selections of these star systems and the fact that the availability of these specimens can be seen on almost any night of the year makes this type of observing possible on a bright night with small telescopes. 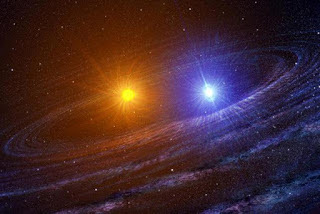 Some double stars are known as "fixed" double stars meaning their components have not moved since their discovery. However, the majority of these star systems do show orbital motion over periods of time. The explanation is that the secondary star appears at a different position as it orbits the primary star. Some stars show orbital motion over a span of years while others may take decades to change their relative positions. North (0°) is at 6 o'clock, East (90°) at 3 o'clock, South (180°) at 12 O'clock, and West (270°) at 9 o'clock. For example, the position angle for the double Albireo, a double star in the constellation Cygnus the swan is 55° with a separation of 34.6". 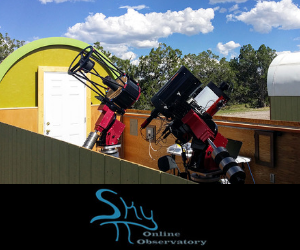 An article posted on Sky and Telescope Magazine's website has a list of the best double stars to observe as well as more information on observing double stars.